The Add in Life wristband is designed to remind people to always make decisions that add value to their lives, rather than subtract value. For every decision you make, you must ask yourself: "Will this decision add to my life or subtract." The Add in Life wristband is a reminder to always choose to Add in Life! 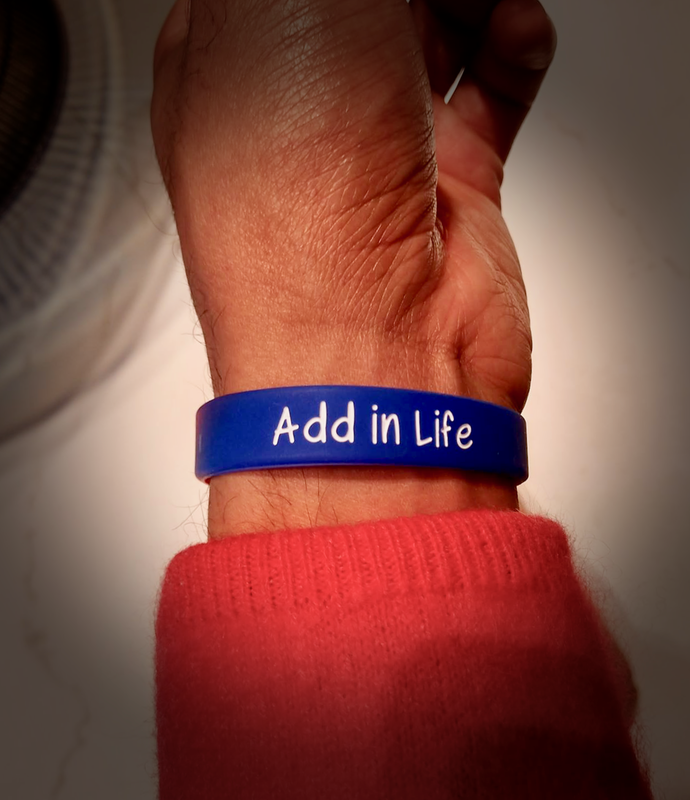 Design: The phrase "Add in Life" is imprinted on one side of the band. A graphic of the Number Line is imprinted on the other side, containing positive and negative numbers. View the wristband pictures to see the difference in colors. Though the pictures generally capture the actual color of the bands, there may be factors on the user's end that may affect the picture quality. Specifications: 1/2 inch band (width), silicone material. The bands are durable and can be worn under water. Size: Available in medium and large sizes. (*Note that the large band may fit loose on people with smaller wrists. For individuals under age 10, the large and medium bands will likely be too loose fitting. Buyers should consider how they like to wear wristbands. For individuals who prefer a more fitted band, the "medium" size band may be appropriate. For those who prefer a looser fit, the "large" size band may be appropriate. The wristband pictures with the black & white background were taken with the "medium" size band. Please view the wristband pictures, below, to see the difference in size between the medium band and large band. If you have questions, send an email to "contact@addinlife.com." Disclaimer: ALL SALES ARE FINAL. Please read the wristband description carefully and view all the pictures to ensure that the band is appropriate for the individual who will wear the wristband. IF THE INDIVIDUAL WHO WILL WEAR THE WRISTBAND IS ALLERGIC TO OR OTHERWISE CANNOT WEAR PRODUCTS CONTAINING SILICONE, DO NOT ORDER THESE WRISTBANDS.